The doors to the 4,000-seat, $23.65M Bendigo Stadium show court expansion will officially open to the Greater Bendigo community on Friday May 25. To celebrate the opening of this fantastic sports and entertainment venue, the City of Greater Bendigo and Bendigo Stadium have planned an exciting opening series of events, starting with the first Braves home game on the new show court on the Friday night. The Bendigo Stadium is offering adult tickets for $5 and free entry for children under 16 to watch the Champions IGA Lady Braves and Bendigo Bank Braves take on the Sandringham Sabres from 6pm. Artist's impression of the expanded Bendigo Stadium. A free community Open Day will then be held on Sunday May 27 from 10am – 3pm to showcase the new venue, featuring ‘come and try’ activities for basketball, volleyball and netball, food trucks, live music, roving performers, magic shows, The Zone games and guided tours. The Braves and Lady Braves will also run a series of kids’ activities on the new show court featuring a slam dunk competition, before the Big V women’s and men’s teams take to the court at 12pm and 2pm respectively. The Big V is a development league that feeds into the SEABL. Mayor Cr Margaret O’Rourke said she was excited to see the expansion project nearly finished. “This is going to be a wonderful facility for our community. It is the largest indoor stadium constructed outside metropolitan Melbourne, which puts Greater Bendigo in an enviable position to attract major national and international sporting events and spectacular concerts and other entertainment,” Cr O’Rourke said. Bendigo Stadium Chief Executive Officer Nathan O’Neill said he looked forward to the Stadium hosting world-class experiences for the community to enjoy. 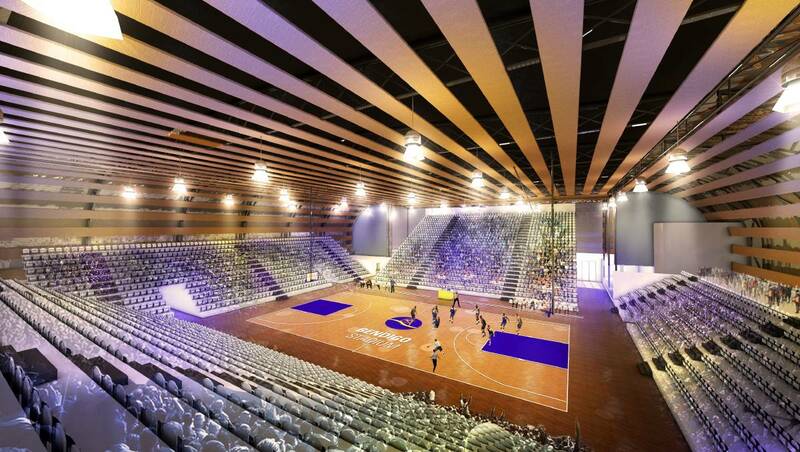 “The new show court is unlike any other in Bendigo or across regional Victoria. We cannot wait for people to come and interact with the new space, be it for sport or watching live entertainment,” Mr O’Neill said. The Bendigo Stadium expansion features a three court/show court expansion, spectator seating for up to 4,000 people, kiosk/bar, crèche, change rooms, updated administration area, meeting rooms, retail area, storage, and 12 new outdoor netball courts. Wi-Fi will be available throughout the building via the Purple Wi-Fi platform, which is available in 125 countries.